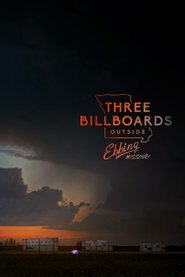 THREE BILLBOARDS is an excellent movie that is deeper and richer than I expected. At first, I thought it was going to be a typical “David and Goliath” story with David winning over Goliath. But, while there are indeed elements of that, this is not the heart of the story. What makes this such an engaging piece of cinema is the nature of the characters and the relationships between characters. In fact, this is a primarily character-driven movie and it is all the better for it. The cast is brilliant. Frances McDormand, as Mildred Hayes, is scorching as she works through her grief as it is manifested in her behaviour towards the police chief (Woody Harrelson) and, in particular, in her interactions with Jim Dixon (Sam Rockwell). It’s an entirely unpredictable story shot through with black humour. But, even though we are laughing at the humour, we suddenly find ourselves in the middle of searing melodrama. A masterpiece of storytelling with a bold ending.